How Do You Build Ezreal? - Ezrealbuild.com :: Ezreal Build, Runes, Skins, News & Updates. So I've been studying quit a lot in searching most frequent use or build for Ezreal but I realized, this is totally wrong. I created Ezreal Build site as a main official reference for all Ezreal main's and while doing it for about two months now, I think that I was in the wrong track. Searching for the recommended builds is totally will get you a lose match. So, here's a thing. If you remember, I get the post of Ezreal Build Double Tear's. It is firstly made by Korean pro players which yes, one of them is Faker (the mid lanner of SKT T1 pro team). Now, understanding why I keep on losing is because I am not Faker or Doublelift. I can copy how they build their Ezreal but I cannot copy how they play. I assumed you already get my point. That we are losing because of we are keep on trying to copy most of the other pro player does. The reason, we don't have originality. After I keep on searching what is the best thing or how to do it correctly, I was able to come up with a solution. The key point here is that "What is the recommended build of your recent opponent?" This is exactly what I am missing for so long. 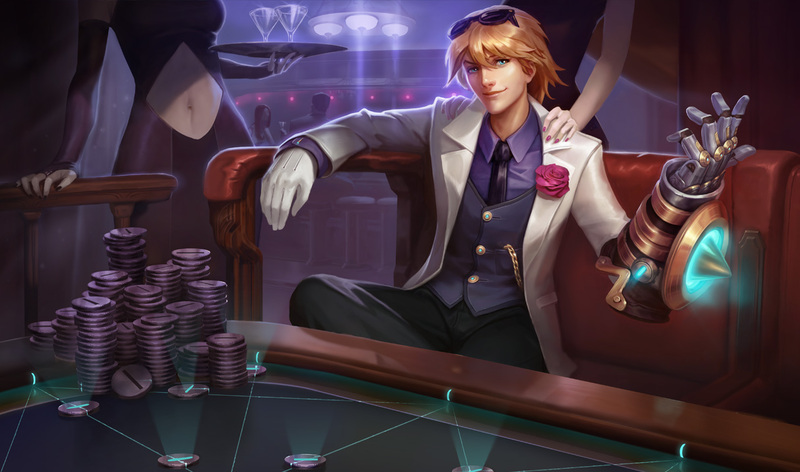 So now, I will just keep on looking to find more, more about the needs of this blog that aims to increase and help to improve our winning rate being as Ezreal mains'.